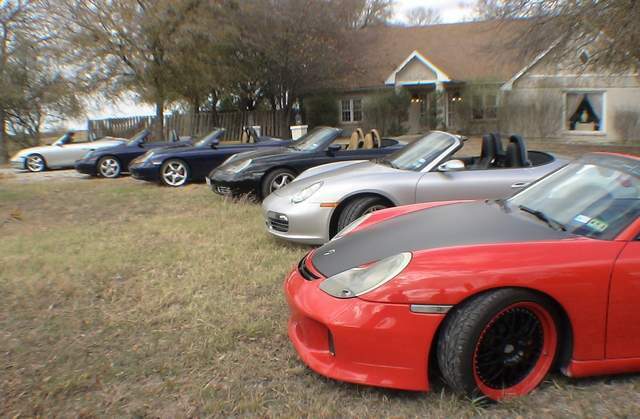 North Texas Boxster Enthusiasts in DFW get together! 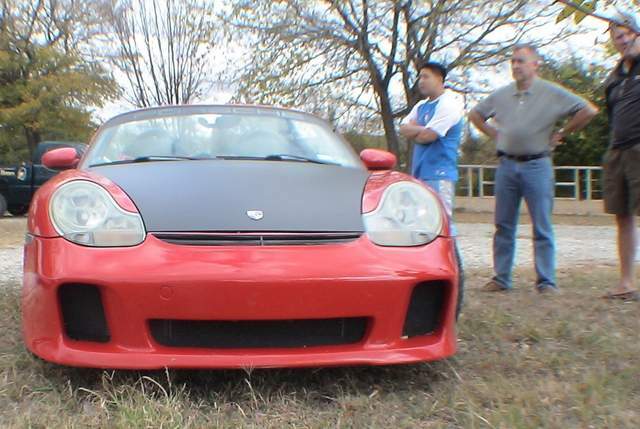 It started with two guys in a garage talking about how best to improve their Porsche Boxsters. Kenny's Throttle Body assembly and other parts lying around - they don't do anyone any good unless they are installed on the car! 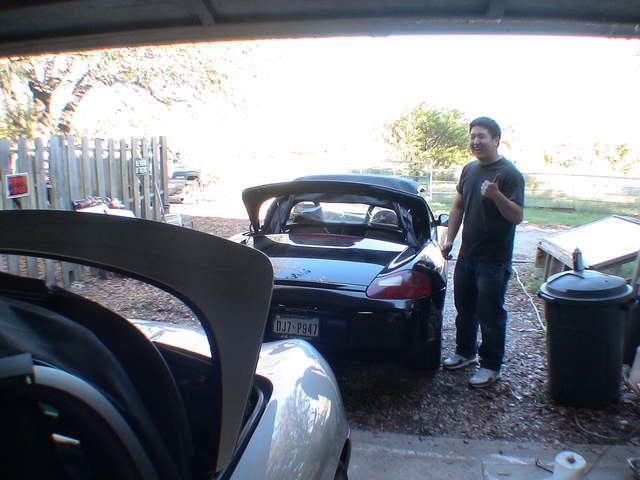 Our first meeting was about how to properly clean a Throttle Body. Since Mark drives down country roads to buy homes, and Kenny has not yet cleaned his. this was the perfect opportunity for our club to be born. Here in DFW we have a range of "wrench twirling abilities", Kenny has done his clutch. 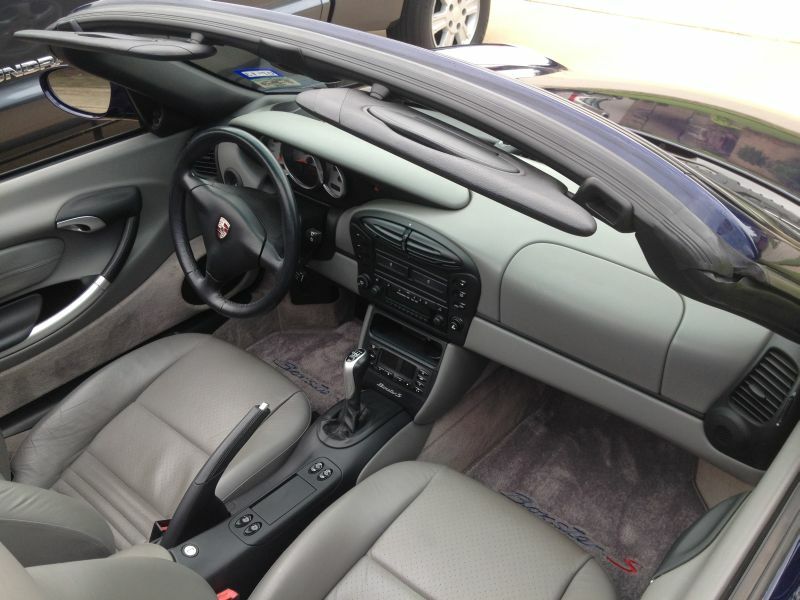 We both replaced out engine mounts, installed Short Shift Kits together, put on Cat Deletes…and then realized there would be others interested in this too. We already range in age from 18 to 50 something. 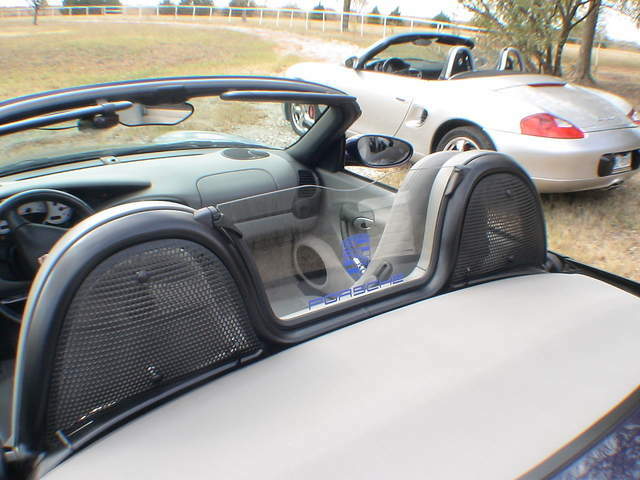 Our repair experience varies as well. So don't think you need knowledge…just the Pcar and we'll supply the rest! After this meeting we got the idea that, with a bunch of active members, we could get discounts on aftermarket goodies for our members and show them how to properly install it on the vehicle. Thanks for watching….see the REAL THING THIS WEEKEND!! From the last meeting we decided to "expand the fan base" and have a little get together with more folks. There is NO COST. We will be doing repairs and you are free to watch AND IF YOU KNOW THE PROCEDURE…feel free to lend advice. On top of that we will have BBQ grilled hamburgers and "award-winning" french fries! So if you are in DFW on Saturday, November 10th, 2012, be here for our get together. There is NOT COST TO BE A MEMBER. Just sign up at http://986forum.com and go to Social Groups. We are easy to find, we are the largest Social Group on the Forum! PM me IF you need further assistance. Mark a.k.a. Homeboy981 - cause I buy a lot of homes. PLEASE KINDLY RSVP - and ANY DISHES YOU WANT TO BRING ARE APPRECIATED!! So PM us and let us know you are coming so we can save space for you! So far we have a couple confirmed to show….how about you? Are you going to be in DFW THIS WEEKEND? If so, don't miss the fun! 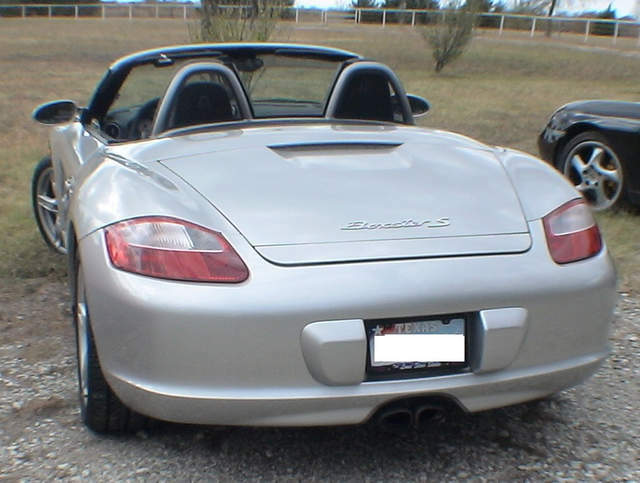 Did we mention we are ONLY talking about Porsche Boxsters (unless you have a Honda too), you might learn something AND IT'S FREE! 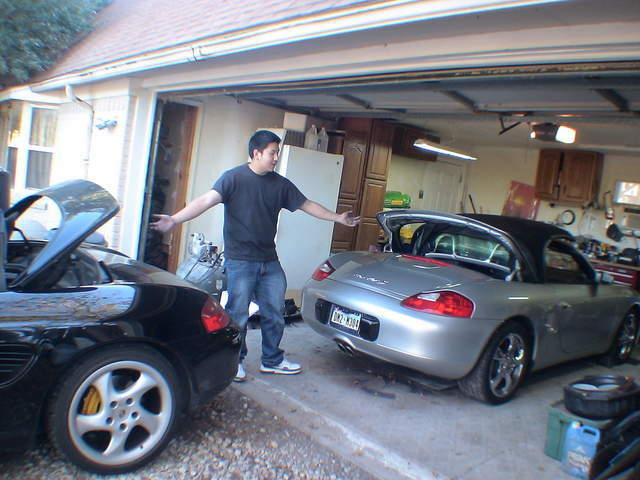 Just wanted to get together with folks to talk about the cars we love! You ARE the REASON we posted this meet here! If you are willing to come up from Houston, it is about a 4 hour drive…in a minvan. 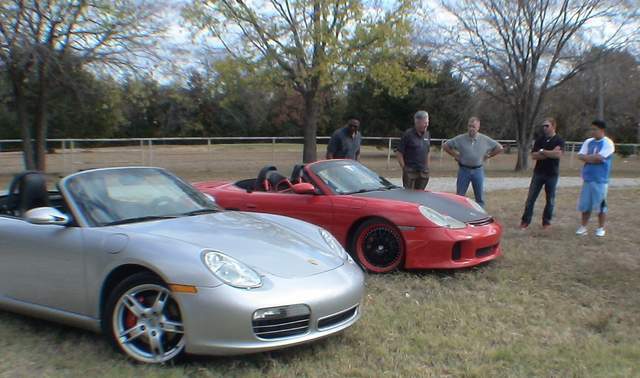 We are located north of Dallas about an hour on a ranch. You are more than welcome to come. 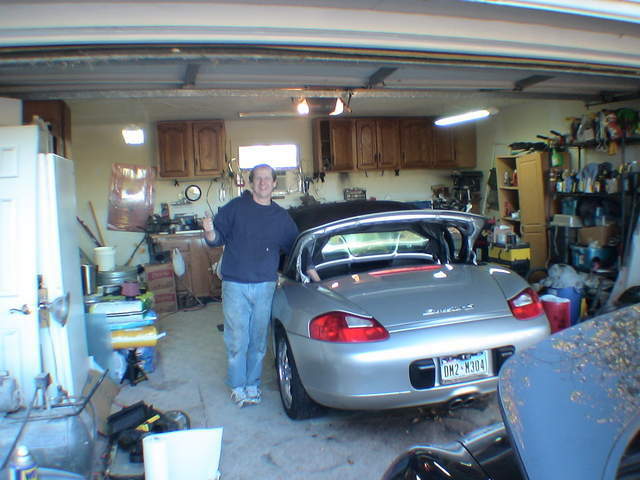 Would love to have you and your Pcar in the pictures! Will post them here on Monday. So even if you miss it, you can still participate! UPDATE: A couple more folks have confirmed. Don't know how many that makes just yet….but we have a HUGE driveway! Don't worry, we will post pics - IF YOU'RE NOT HERE! You just won't get to eat free! Where exactly are you located? Denton? Gainesville? I PM'd the info to you! Thanks for all those you came out the ranch this weekend. It was a fun time to meet our "board members"! It certainly was NOT bored members! Can't wait to see what I missed. Now that we have your attention.. 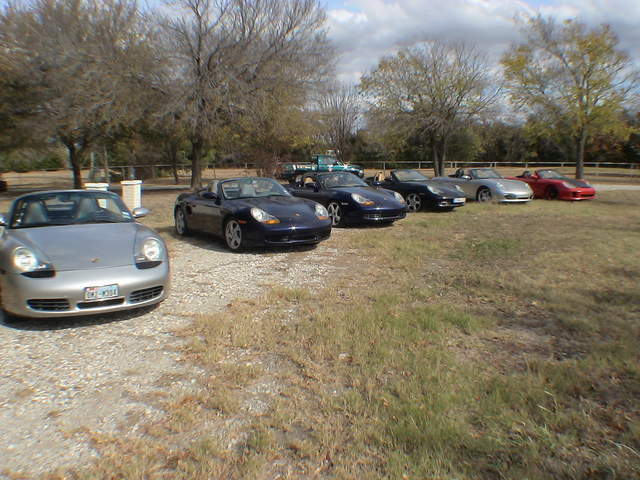 Here are a few pics of the North Texas Boxster Enthusiasts get together. To be honest, I was too interested in the cars to take shots! You just shouldda been there…. Here we are from left to right…. 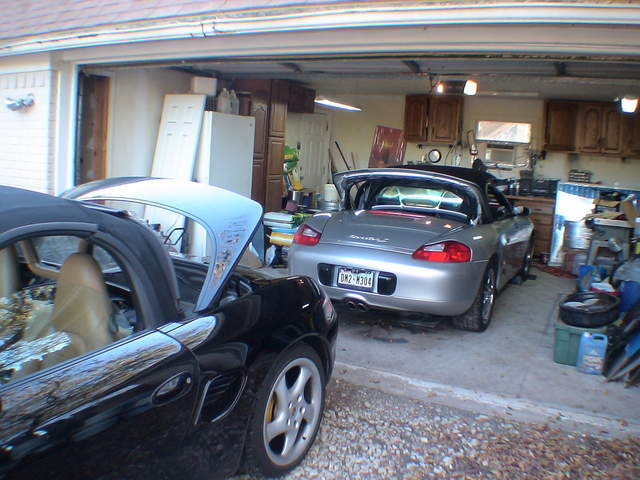 All cars from the back…. 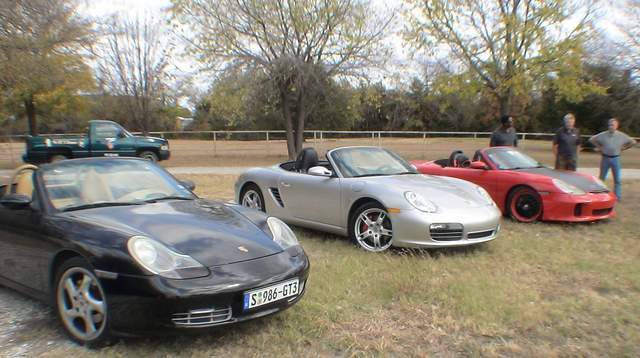 All Boxsters from the front…. WingNut2U drove up and everyone HAD TO SEE it! 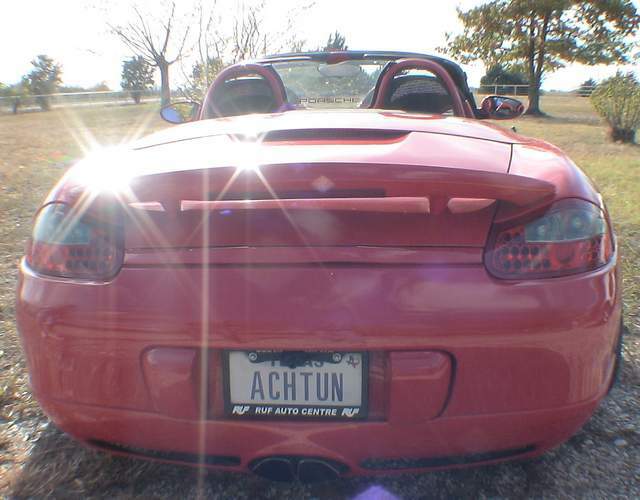 This shot shows WingNut2U's car lowered. More tips and tricks being discussed…. 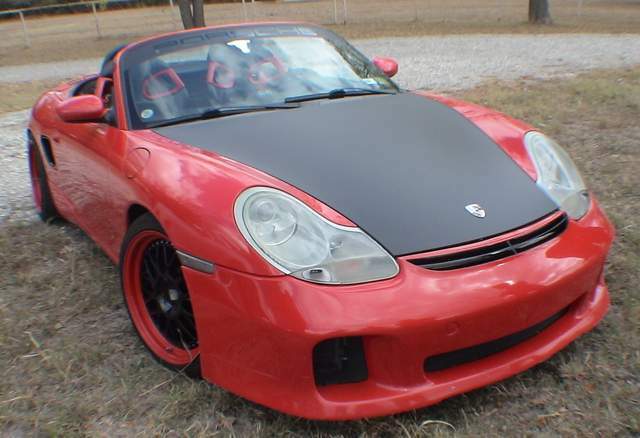 WingNut2U - red 2001 S - RUF front bumper, Techart side skirts, Gemballa rear bumper, PSS9s (lowered so low it was hard to take pictures to see what all was done underneath), Cargraphic 18" racing wheels w/ matching colors, RUF exhaust, GT3 seats (man are those thing snug), color matched interior, racing harness, backup camera, Alpine stereo, Techno Braces front and rear, ashtray delete, Really cool rear Wing, CF air intakes, Stainless Pedals and matching mats. 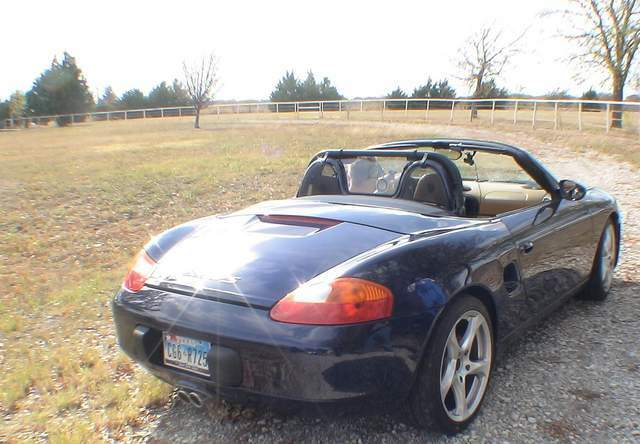 DFW02S - blue 2002 S - Top Speed Pro-1 short shifter & Cat Back Exhaust, Cat delete, RSS underdrive pulley, LNE IMS, Aasco LWFW. 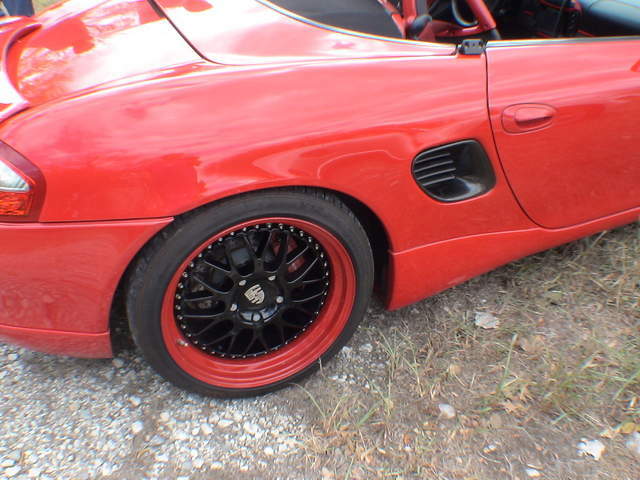 Really cool rims. What were those again? Making his getaway! Man, does that thing SOUND GOOD! 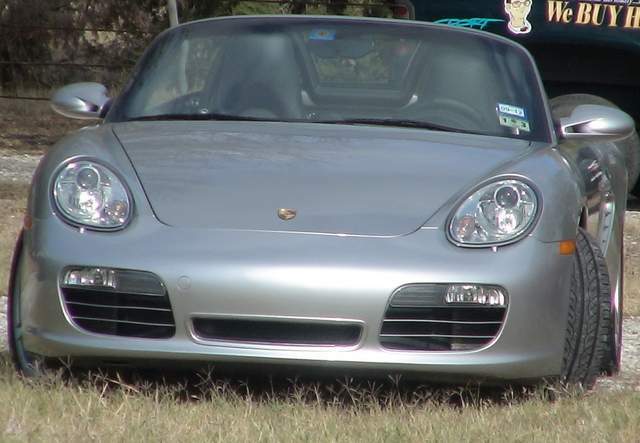 RP17 - silver 2005 S. Need we say more? 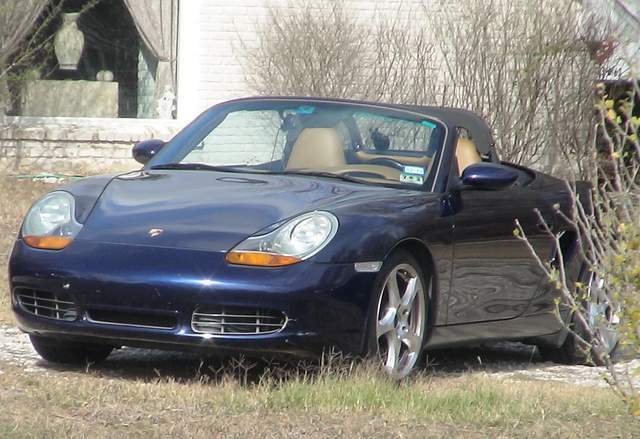 ….continued on next post since we can only upload 10 pics at a time…..
BruceH - blue 2001 S - iPod connection - BruceH showed us a fine specimen of a 2001 S Lapis Blue Boxster that is virtually flawless. Talk about what a car should look like, he should be showing it! Glad he showed it to us! Here is the rear…this is what it looks like when he "takes off"
This is the only shot of the inside I have (sorry BH, the other one was out of focus). BruceH HAD TO POINT OUT the only flaw found. Of course, an owner would know it, but, even when it was pointed out, we could still hardly see it! You be the judge! 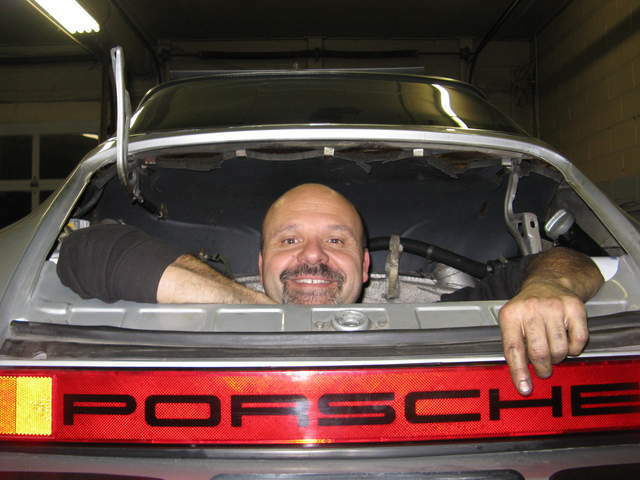 We all determined to HELP BruceH put more wear and tear on his car! 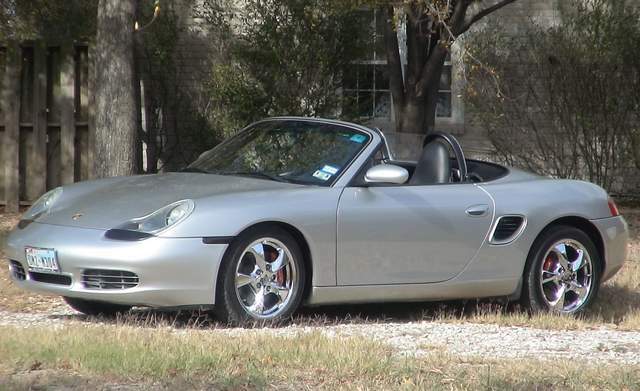 Homeboy981 - silver 2002 S - TS SSK, Color Match Console, De-Amber, 550 Tail lights, LED Side Marker Signals, TS Cat Deletes, Low-Temp Thermostat, Water Pump & Engine Mount, MI Air Intake-Stage1! She is sporting Chrome kicks….need to get some "Track shoes!" O.K. 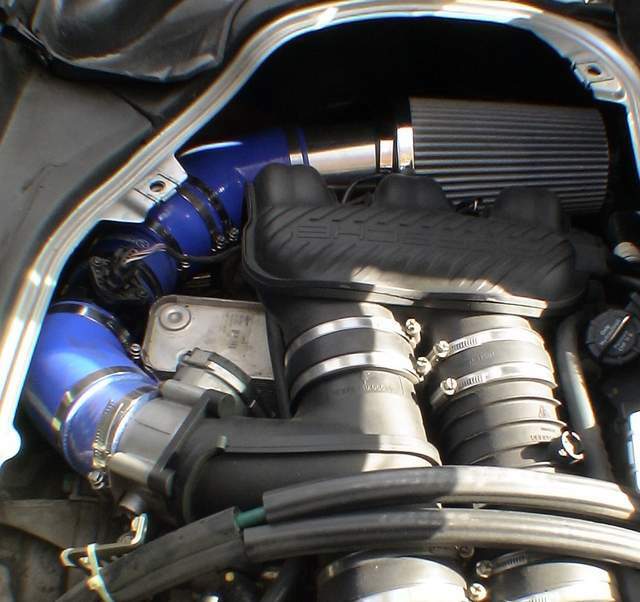 so maybe the Air Intake is a WARM AIR INTAKE for now….but it IS using a 10" X 6" conical air filter into a 4" silicone tubing, and reducing down to 3.25" at the Throttle Body. 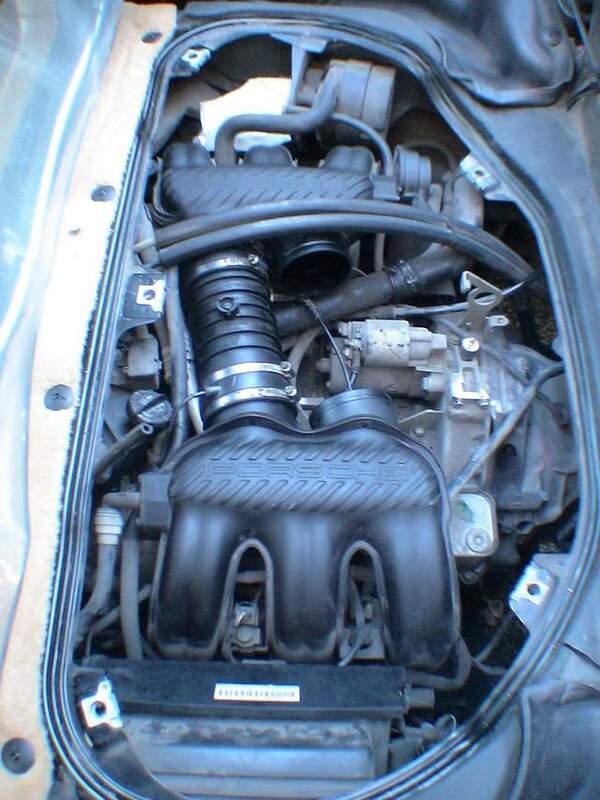 If you notice the MAF & housing have been moved to above the OIL HEAT EXCHANGER - NOT the AOS! And a Honeycomb filter is installed 2-4" in front of the MAF. 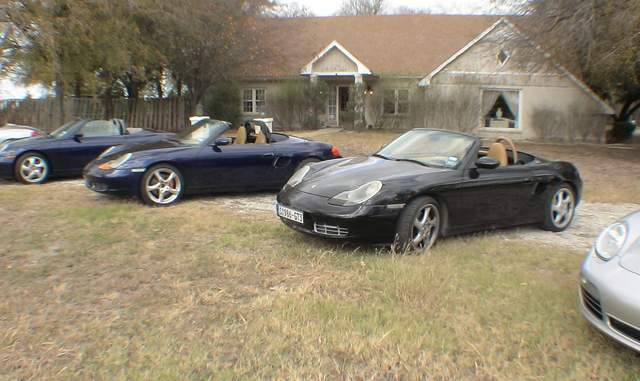 …and here are some more parting shots for you to remember North Texas Boxster guys by…. 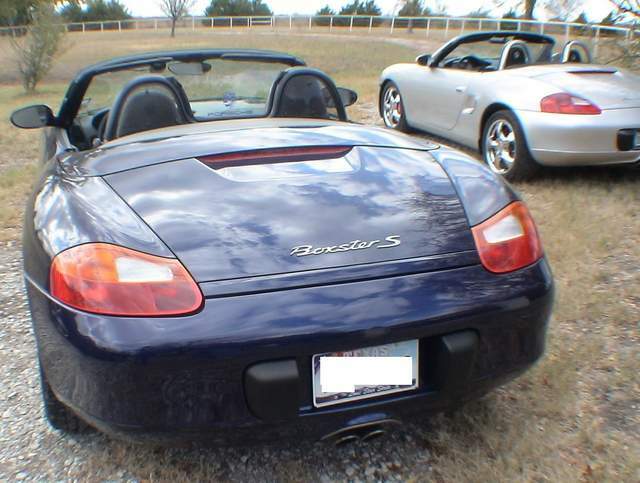 "One of the best things about owning this car….the people!" If you are one of us in North Texas, Houston & Oklahoma are O.K. too. Or if you just happen to be in town-let us know. Either way, make sure to catch our next event! We are planning to do brake flushes with a couple of volunteered power bleeders (sorry dealerships you will NOT be getting our $$$). 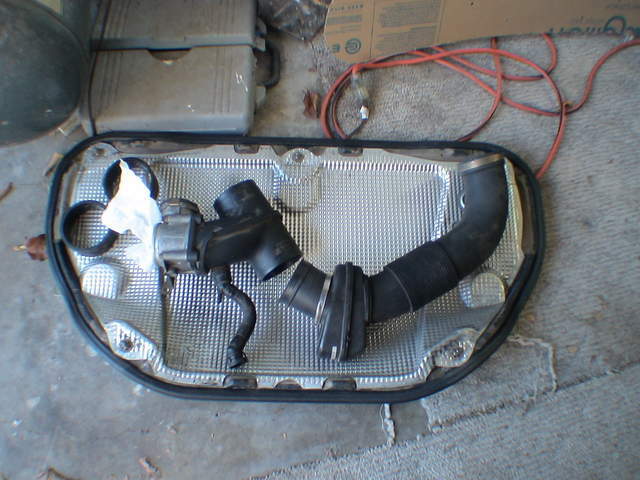 BYOBF - "Bring Your Own Brake Fluid!" We can even do the clutch bleeding too! And we will be able to tackle those creaks and squeaks with a shot of WD-40. TIP: Knowing WHERE to SHOOT it that IS the IMPORTANT PART! Thanks to all those that stopped by. We feel sorry those of you that missed it. …. 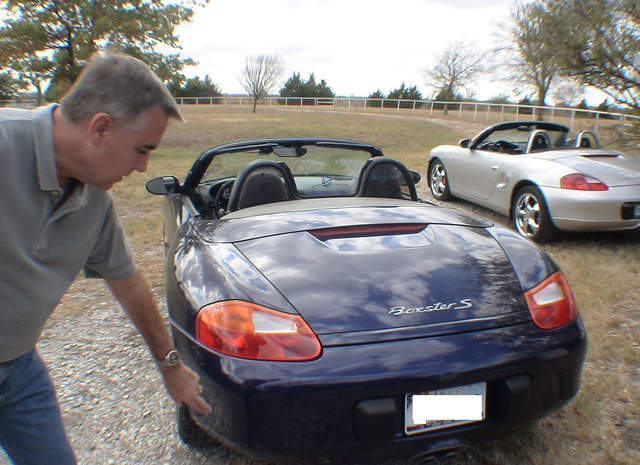 "tell everyone about North Texas Boxster Club!" You should have been HERE instead of reading it THERE! It was WAAAY more fun! Mark, Thanks for the kind words and for hosting the event! I had a great time and look forward to the next get together. 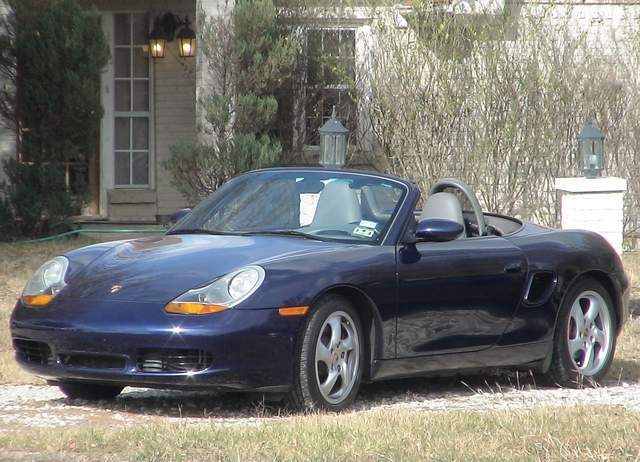 You guys are going to cost me lots of money though I see After seeing the clear side lights on Mike's Lapis Blue, I have to get those, and then of course an under pulley, short shifter and a new exhaust I agree that the people associated with these cars is one of the great side benefits! We are already planning another MEET! Stay tuned for the TIME and PLACE. This time we will be able to handle more peeps and their cool Pcars! Keep watching OR you can PM myself or Kenny Boxster with contact details (email or phone) and we will put you on the list to contact in advance. We WILL LET YOU KNOW! So you do not have to rely on coming to this thread OR miss an event. 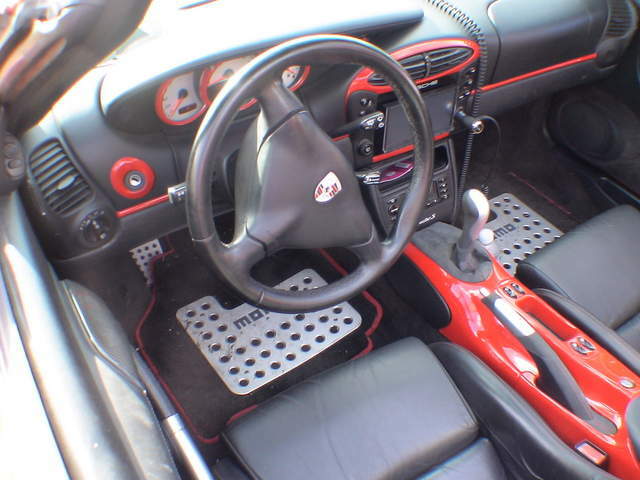 We are planning to do brake flushes with a couple of volunteered power bleeders. 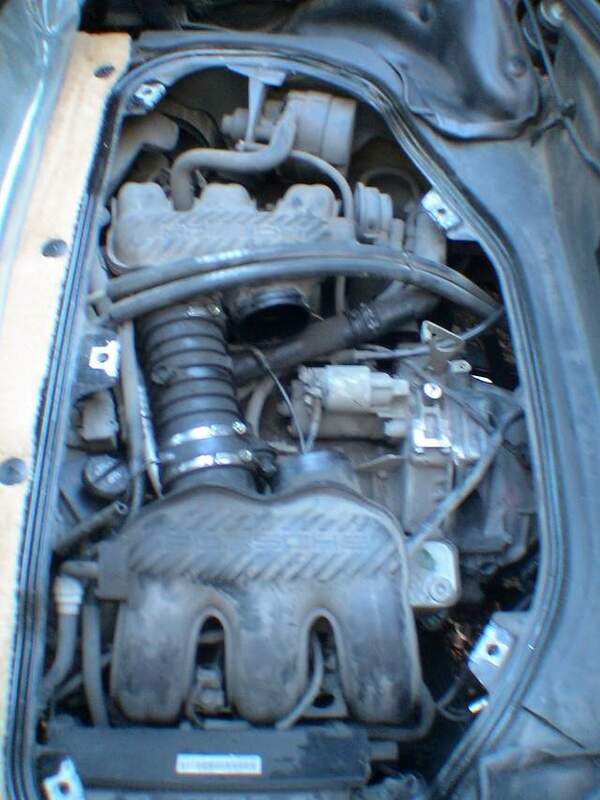 BYOBF - "Bring Your Own Brake Fluid!" We can even do the clutch bleeding too! And we will be able to tackle those creaks and squeaks with a shot of WD-40. Last edited by bebeto986; 11-13-2012 at 02:13 PM. Nice! Now you just need to get it out of the yard and into the Box club! I'm the one that usually does the "off roading" in this forum (I go down dirt roads, cause that's where some of the homes are). 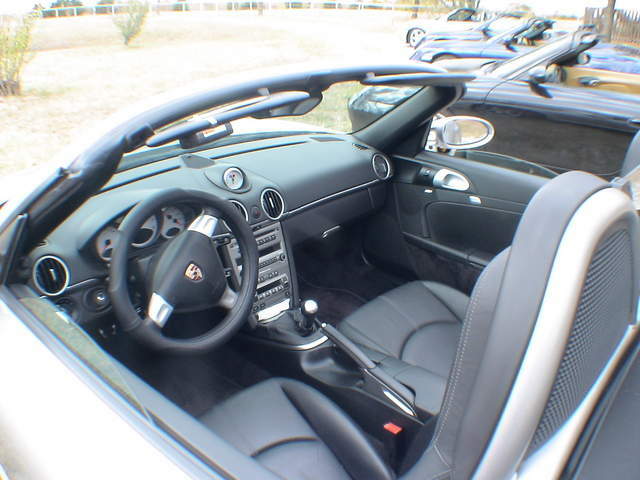 It still hurts to take it 'down the road'…but that's how I get gas money! You may be able to help some junior members tune their ride…like me! That's a good one. I need to remember that. Forget hereditary hair loss….it's from flying metal! They need to put a Warning label on the underside! 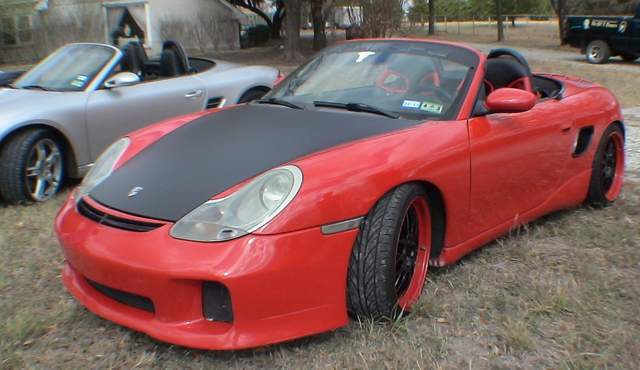 This one needs a big yellow sticker that says "Dont hide in the trunk in case engine is missing"